With our rich industry experience and knowledge, we are engaged in offering a high quality array of Automobile Parts Packaging Pouches. 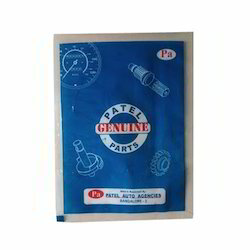 Manufactured using high grade raw material and advanced technology, these pouches are highly demanded in the automobile industry. Moreover, clients can avail these pouches from us in different shapes and sizes as per their exact needs and at the most affordable prices.